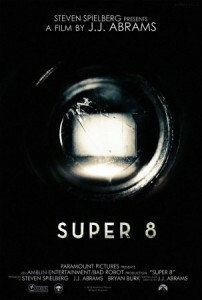 J.J. Abrams Lets Us In On Some Of The Mysteries Surrounding Super 8!!! Over at HERO COMPLEX, they have a story and interview with J.J. Abrams and he gives us some insight into this world surrounding his film, Super 8. This film has been top secret, so I don’t know if Abrams is throwing us off or not, but I can;t wait to find out. It is going to be one thrilling summer. Sitting in his Santa Monica office late last week, J. J. Abrams was the picture of a conflicted filmmaker. For months, he had guarded every detail about his upcoming movie, but now, against all of his instincts, the writer-director knew it was time to reveal the secrets of “Super 8” — or at least some of them. No major movie this summer has been kept under wraps like “Super 8″ — all that’s really known about it comes from a teaser trailer from last year showing a stunning locomotive derailment and some sort of powerful beastie escaping from a military train-car — and Abrams likes it that way. ”Cloverfield,” the monster-movie with a similar state-secret approach, was produced by Abrams, along with partner Bryan Burk. Sunday’s premiere of a 30-second commercial for ”Super 8″ during the Super Bowl, however, marks the beginning of the public life of the movie that Abrams would rather keep locked up in his basement for another four months. So, ladies and gentlemen, meet “Super 8,” a sci-fi film that has the monster-on-the-loose vibe of “Fringe“ (another television show that Abrams co-created) or “The X-Files” as well as a throwback spirit that in many ways evokes “E.T. : The Extra-Terrestrial,” “Stand by Me” and maybe even ”The Goonies.“ Those were all movies from the 1980s popcorn era that most shaped the sensibilities of the 44-year-old Abrams, and the film’s title has a similar heritage connection for him. During the Super Bowl, the world will get a taste of “Super 8″ with a commercial of quick-cut images that reveal the young faces, the small-town vibe and the vintage textures of a movie that includes plenty of time-capsule episodes — including a sparkling moment that will give “Reality Bites” a run for its money in the category of best usage of ”My Sharona.“ That’s the sort of detail that Abrams would rather keep close to the vest but on Thursday he allowed a visitor (yours truly) to watch about 30 minutes of “Super 8″ footage, which included an especially savage destruction of a gas station and a heartbreaking father-son conversation. During the visit, it was also apparent that Abrams believes he has something special with the film. The hybrid approach immediately won the affections of Spielberg. He told Abrams that for years he had tried to find a film that spoke to the specific heartbreak of divorce and then finally found it by making the unlikely decision to meld it with a sci-fi story. The result was “E.T.,” which had spaceships but was just as much a tale of a single-parent family and the loss of connection and home, for human and alien alike. “Super 8″ has a similar backbeat approach to heartache. The film begins with a small-town factory death that is very much of the real world. The fact that the story is built around a half-dozen young characters presented profound challenges once the cameras started rolling. Spielberg was a key voice in the casting process and Abrams also sought advice from old friend Matt Reeves (who just worked with a child cast on “Let Me In“), as well as Rob Reiner, who assembled a youth cast for the ages when he putRiver Phoenix, Wil Wheaton, Keifer Sutherland and Corey Feldman on the screen in ”Stand by Me.” All the advice in the world, though, couldn’t completely prepare Abrams for the “trial by fire” on the set. Abrams talked about much more — the challenge of creating a compelling alien that would capture the imagination of audiences, for instance — but it was off the record or for another day. The Super Bowl ad will go a long way to putting “Super 8″ on the radar of movie fans, but the director is reluctant to provide anything more than that blip on the screen. While contemporary peers such as “Iron Man” director Jon Favreau reach out to fans, bloggers and journalists throughout the filmmaking process for a thoroughly transparent view, Abrams longs for the muscle-car days of 1979 when movies had far more mystique. “‘I’ve never done Twitter,” said Abrams, a man who has a tape cassette player in his car and is releasing a movie called “Super 8″ in the age of iPhones. All of that and the summer of blockbuster competition add up to worries about time and timing. Check Out Some New Footage of “Super 8” !!! The Cool as Hell “Super 8” Trailer is Here And Will Own Us All!!! This entry was posted on Tuesday, February 8th, 2011 at 1:32 pm	and is filed under Film, News. You can follow any responses to this entry through the RSS 2.0 feed. You can skip to the end and leave a response. Pinging is currently not allowed. « Bluray/DVD Picks For The 2nd Week of February!! !